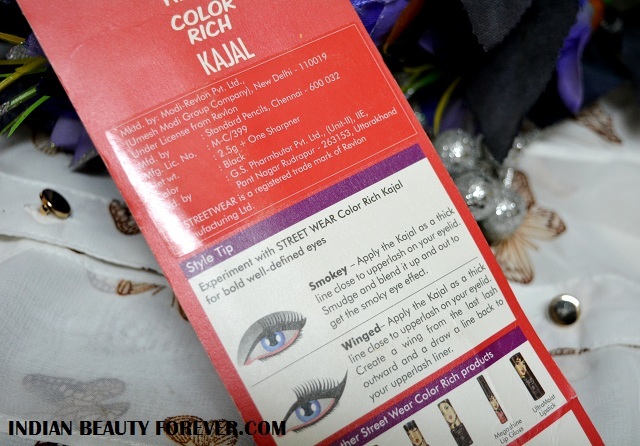 I will review Street Wear Color Riche Kajal. 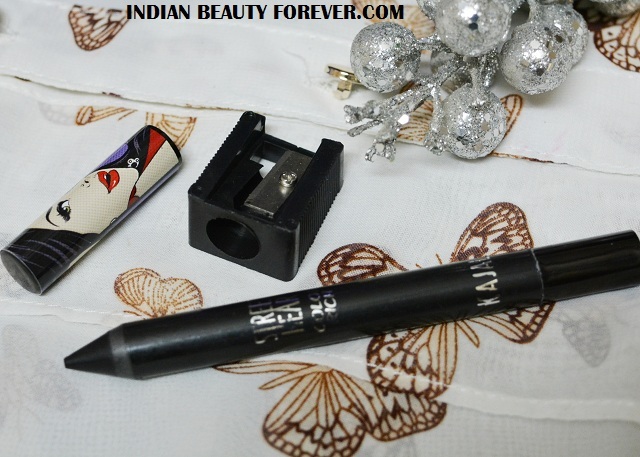 This kajal was launched along with the street wear’s range and is just for 90 bucks. 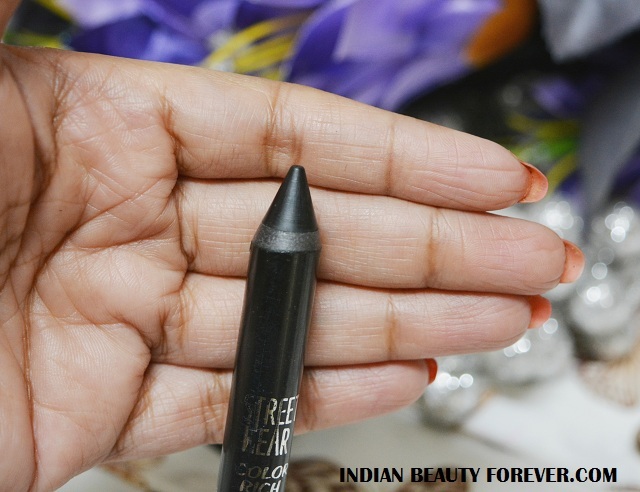 The kajal comes in a black body with a quirky cap just like the other products from this range. Other than the kajal the packet also contains kajal sharpener which is good as these fat kajal tubes need something that could sharpen them well. The sharpener is of good quality and not made of some cheap plastic. The kajal pencil is around 5 inches tall and would last really long though that’s a different thing though while sharpening we lose out on a lot of product. I expect my kajals to be jet black but I was quite surprised that this is not a jet black kohl but is a grayish brownish toned black. In a way that can be actually good as this would be at least different. But if you like pure black kohls then this is not for your liking for sure. While I swatch it I find that it is not extremely dark as I mentioned but pigmentation wise too it is just average and would stay a lot less. due to this this is not for the eyelids. This can be used like the age old kajals only unlike the current brigade of kajals that serve dual purpose and double up as kajal and eyeliner both. 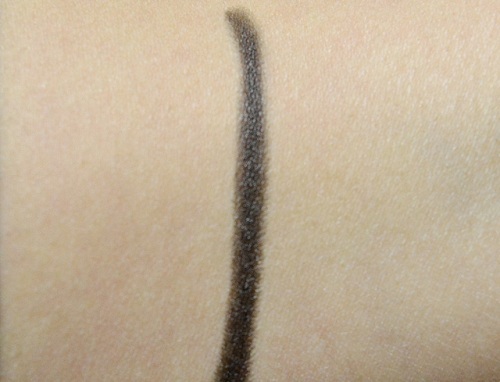 This is not a kajal for those who wish a lot more from their kohls like the staying span, superb pigmentation. It is a kohl for someone like me who just sports kohls once in a blue moon or those who don’t have high expectations but that is also true that by adding just 50 – 70 bucks more one can buy a Colossal or Lakme Eyeconic kajal that are far better choices than this one here. The only good thing is the packaging and the free sharpener. But wait! I forget, Eye conic, Colossal or kajal magique don’t even need a sharpener and the kohls like VLCC, Himalaya etc have no room for a sharpener so keeping all this in mind, Do I recommend? Of course not dearies! Take: If you have bought it, use it, No escape! But if you’re thinking of getting it, it is worth skipping.